Laurie Russell, MS RN CCM is a Senior Consultant at BluePeak Advisors. Laurie has 40 years of health care experience including more than 20 years in managed care and 15 years in Medicare. She advises health plans on quality improvement, Medicare star ratings, compliance and operations around Special Needs Plan, (SNP), National Committee for Quality Assurance (NCQA) and care management. Laurie has conducted and supported numerous audits with her primary expertise in Special Needs Plan Model of Care (SNP-MOC) and Medicare-Medicaid Care Coordination and Quality Improvement Program Effectiveness (MMP-CCQIPE). 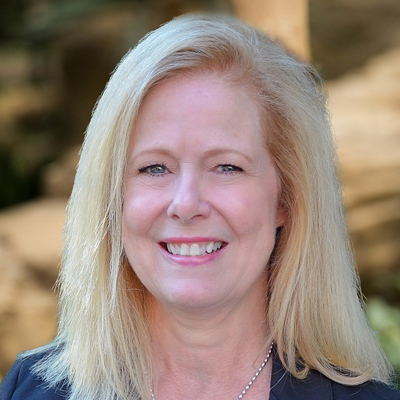 Prior to working with BluePeak, Laurie was Vice President, Government Affairs at UnitedHealthcare providing clinical expertise for the Medicare and Retirement Division in working with CMS on clinical quality improvement and Medicare star ratings. Working at XLHealth from startup to its acquisition by UnitedHealthcare, Laurie held various positions including Senior Director of Health Solutions, Vice President for Medical Affairs and Vice President for Quality Strategy and Outcomes. As Senior Director of Health Solutions, Laurie drove development of XLHealth’s disease management programs. As the company expanded into the Medicare Advantage SNP business, Laurie served on the executive leadership team as Vice President for Medical Affairs. In this role she directed all medical management programs and built the quality improvement infrastructure for the company. As CMS increased its quality oversight, Laurie then assumed the role of Vice President Quality Strategy and Outcomes. She drove strategies to comply with CMS requirements and enhance outcomes including Medicare Star ratings, NCQA, HEDIS, CAHPS, HOS, SNP Model of Care, CCIP and QIPs. Previous to her time at XLHealth, Laurie worked at Johns Hopkins HealthCare as Senior Director of Care Management. She worked with a team of Johns Hopkins clinicians to develop and then direct case management, utilization management and twelve specialty disease management programs for its Medicaid and retired military health plans. During her time at Johns Hopkins, she was also a faculty associate at Johns Hopkins School of Nursing and participated in several research initiatives with the Schools of Nursing, Medicine and Public Health and the Robert Wood Johnson funded Centers for Health Care Strategies. Laurie has worked directly with private foundations and trade associations such as AHIP and the SNP Alliance and was an invited presenter on Capitol Hill. She participated, at CMS request, in quality improvement initiatives led by the RAND Corporation and served as a Subject Matter Expert for the Commission for Care Management Certification (CCMC). Laurie held several hospital positions prior to specializing in managed care. She served as Assistant Vice President for Upper Chesapeake Medical Center in Maryland and as Nurse Manager for its Intensive Care, Cardiac Care and Dialysis Units. Her clinical practice focused on critical care. She is a licensed RN and certified case manager (CCM).